← Is the U.S. Green Building Council Becoming a Not-So-Jolly Green Giant? North Carolina’s House Committee on Mechanics’ Liens and Leasehold Improvements gathered for the third of four scheduled meetings last Friday, March 7. Up for discussion were two legislative proposals: one that would strengthen liens on leaseholds, and one with the potential to weaken the “direct liability” or “wrongful payment” liens of subcontractors and suppliers. Progress was made on both proposals, but with the Committee scheduled to meet for the last time and issue its recommendations on April 7, the clock is ticking on what might be accomplished during the legislative short session convening in May. This language would require performance and payment bonds on certain tenant improvements when the record owner of the land is the State of North Carolina or one of its political subdivisions. Specifically, when the value of the public property tenant improvement is greater than $300,000 (or $500,000, in the case of property owned by a state agency or a member of the UNC system), subs and suppliers would enjoy rights under a payment bond obtained by the project’s prime contractor. This legislation, if adopted, undoubtedly would represent a step in the right direction for subcontractors and suppliers, but it is critical to understand its limitations: (a) it would not provide any new lien protection for contractors of any tier when the landowner is a private, rather than public, entity; (b) it would not provide prime contractors with any added protection on public property tenant improvements; and (c) it would not provide subs and suppliers with any added protection on public property tenant improvements with a value less than the statutory thresholds set forth above. (2) Liens on Tenant Improvements When the Owner of the Land Is a Private Party. Stakeholders were underwhelmed by the Committee’s proposal to give lien claimants a statutory right to use the lease agreement or other evidence to establish that the tenant was acting as the landowner’s agent in ordering the improvements. Sub & supplier reps argued the measure didn’t go far enough; realty reps complained it went too far. My take? The proposal arguably just codifies what is already the common law in North Carolina, which certainly wouldn’t be a bad thing. Only going that far, however, would leave unanswered, and open to judicial interpretation, a critical question: how much control must the landlord exert before its ownership interest can be reached? Co-signing the improvement contract? Requiring in the lease agreement that the tenant make improvements? Financing the improvements? Approving the tenant’s plans? Receiving the benefit of the improvements at the termination of the lease? Who knows?! What I do know is that North Carolina has dozens of superior court judges likely to have differing opinions on how to answer this key question. Without additional statutory guidance, I fear inconsistent outcomes are likely. Better, in my view, to craft legislation that specifically enumerates the particular acts of a landlord that could expose its property interest to a tenant improvement lien. Tennessee has such a statute in the books, and in the interest of greater certainty, North Carolina should take a page from its sister state to the west. (3) The Title Insurance Representatives Stated They Do Not Intend to Weaken the “Direct Liability” Lien Rights of Subs & Suppliers. Instead, they informed the Committee they want to make sure that an executed subordination agreement between a prime contractor and a lender’s title insurance company will be binding against the “subrogation lien” rights of subs and suppliers. As construction attorney Jason Herndon of Parker Poe pointed out, however, that’s already the law. In any event, various stakeholders have agreed to sit down and try to work out language that might address the title insurers’ concerns. 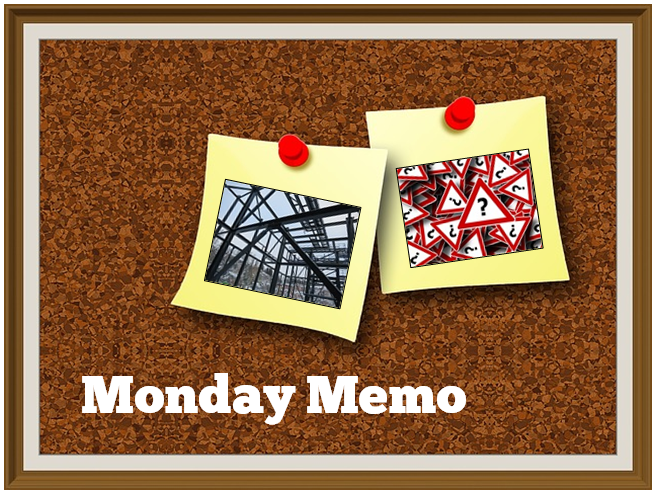 You can read more about why the contracting community is concerned about the current draft of the title insurers’ proposal in my previous Monday Memo. (4) Two Stakeholder Meetings Are Scheduled for Wed., 3/12/14. At 10:00 a.m., folks will gather to discuss the title insurers’ concerns. At 1:00 p.m. 12:00 p.m., folks will meet to see what might be possible re: liens on leaseholds when the owner of the property is a private entity. Both meetings will take place in Room 415 of the Legislative Office Building. It appears my schedule will prevent my participation on Wednesday, but I’ve got my ears to the ground, and will keep you posted. UPDATE 3/11/14 7:00 p.m. I just received word that the N.C. Land Title Association believes it needs more time to explain to other construction industry stakeholders the concerns giving rise to its legislative proposals. As a result, NCLTA has decided not to pursue its current proposals as part of the Committee’s recommendations for legislation during the upcoming short session. That means tomorrow’s 10:00 a.m. meeting is CANCELLED. The leasehold meeting will still take place at 12:00 p.m., not 1:00 p.m. as originally reported.